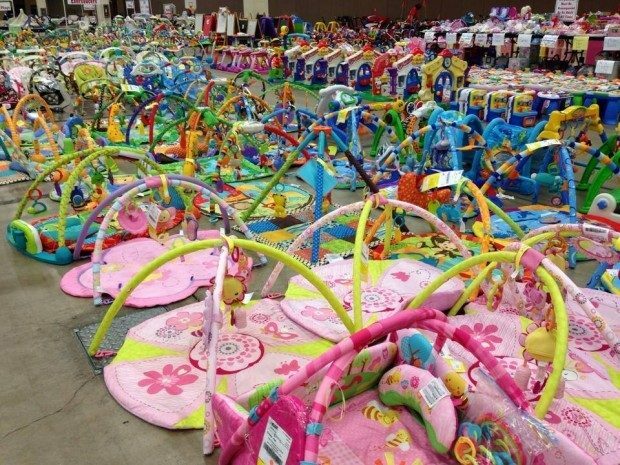 I can’t speak for other parts of the country but, here in Texas, we have neighborhood yard sales, and consignment sales, as well as flea markets, of course. These huge sales offer some great finds and awesome prices, but, can be completely confusing and time consuming if you don’t have a plan. Let’s take a look at 10 shopping tips that will help you get the most out of these types of sales the next time you attend. 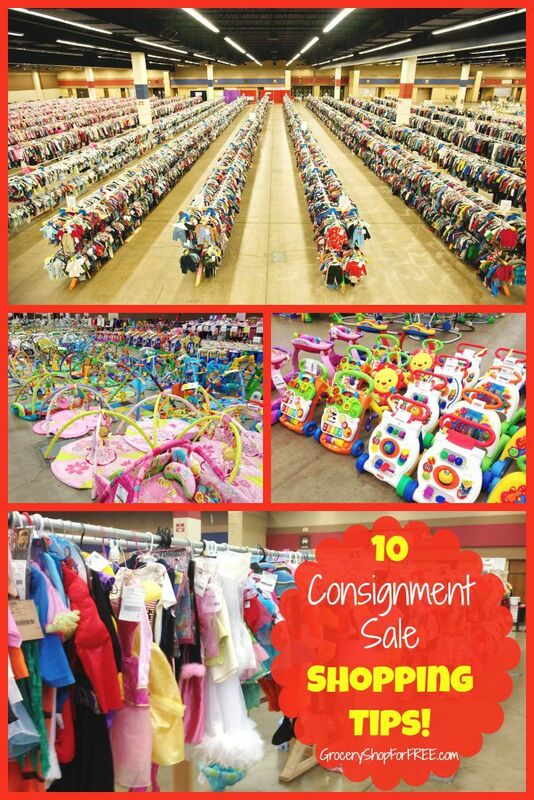 In Dallas/Fort Worth we have a huge annual local consignment sale for children’s clothing, books and toys. 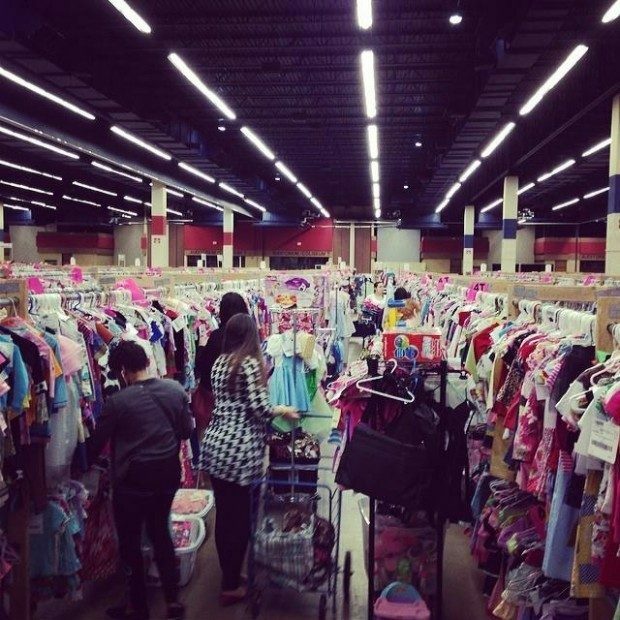 It happens just in time for back to school clothing finds, tons of baby items, and even Halloween costumes! 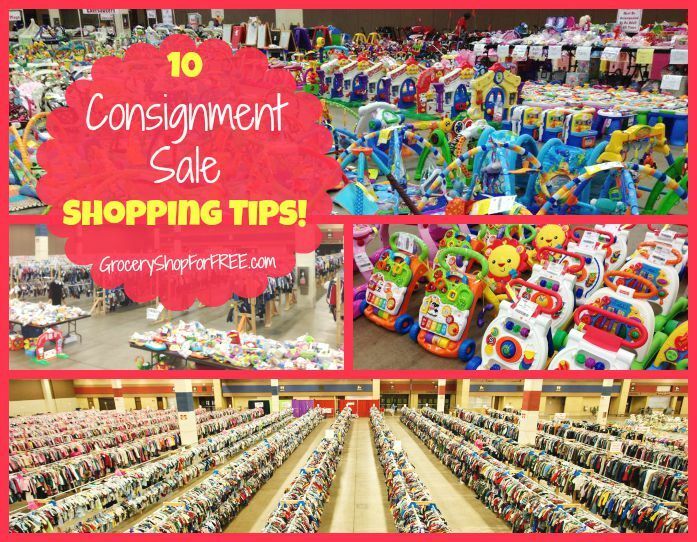 These tips will also work for estate sales and individual yard sale shopping, too. 1. Get there first and check out the best stuff. 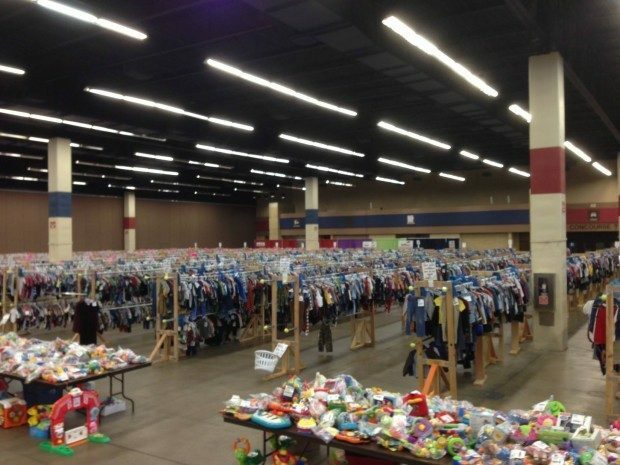 You might even want to look into being a volunteer, that allows you to get in early and scope out the deals! 5. Have a plan, talk to someone who has been before and ask their advice. Know what you’re looking for and how much you want to spend on each purchase. Then work your plan, don’t get sidetracked. 6. Know the clothing and shoe sizes of the family members you’re purchasing for before you go. 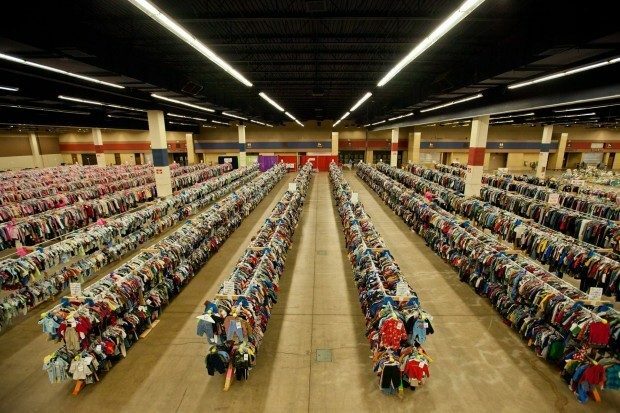 Plan to purchase items that will last, so be prepared to look for the next size up. 7. Make sure to inspect everything closely. Search for tears or snags, stains or loose seams. 9. Bring snacks and water to stay hydrated (Be sure food and drinks are allowed). The lines will be long and you don’t want to have to search for fountains or pay for drinks while you’re busy deal hunting! 10. Have fun, enjoy the time and know that you are saving your family money while providing what your they need, too! 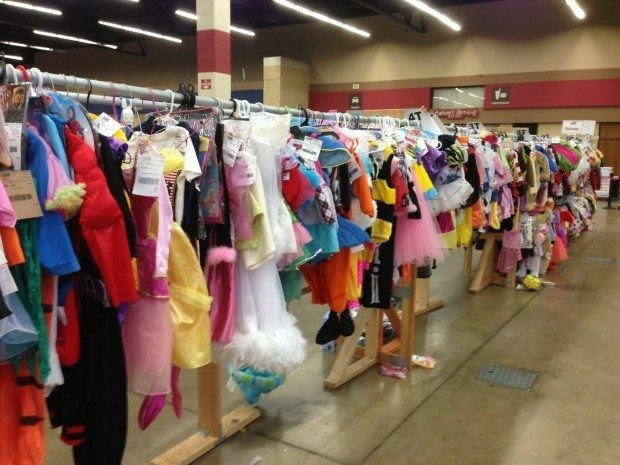 Consignment sales and Flea Markets are also great places to pick up gently used Halloween costumes! Have more tips? Please share them in the comments, we’d love to hear them!